Milling machines are been classified by the orientations of their spindles that are either positioned horizontally or vertically. The table is been moved around the cutting blade in all directions and has the ability to cut various types of objects. 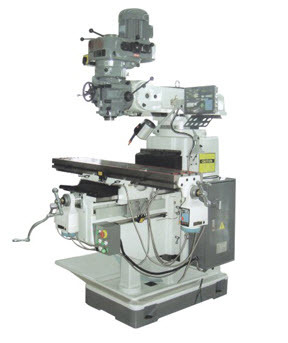 It is comprised of computer numerical control technology also known as CNC. With this latest technology, the user has to input simple as well as complex instructions in order to operate different parts of the machine. Bhavya Machine Tools deals with different types of machines used in industries that include food processing machines, woodworking machines, welding machines, and other special purpose machines. Our other products include different types of drilling machines, all geared lathe machine, bandsaw machine, different types of milling machines and many more products. For more information about the machines contact us today and know more about the different special purpose machines used in industries. This entry was posted in Turret Milling Machine by Yash Shah. Bookmark the permalink.